The ridge that runs along the eastern boundary of our property marks the division between the Anacotilla and Congeratinga watersheds. Looking east across the Anacotilla River valley, we can see make out the old homestead from which the Kelly and Ness families once presided over the Anacotilla station, a substantial pastoral concern that extended over several thousand acres from Lady Bay towards Second Valley. Our property is one lot from the original pastoral property and here we gather stories of the original Anacotilla station, the river, and the families that have occupied the landscape following colonisation. In 1863, a “pretty little bridge” spanning the Anacotilla River on what is now Main South Road was formally opened in presence of Miss Randall, the Superintending Surveyor and “a number of residents in the neighbourhood”. The bridge was a “substantial and ornamental structure, reflecting credit on both Mr. Hargrave, the architect, and the contractors” (South Australian Register, 21 September 1863, p. 3). At its opening, the Register’s Finniss Vale correspondent enthused that the bridge was another cause for congratulation in the ongoing improvements to the roads to the Second Valley district, which at that time were typically swept away with the onset of winter rains. 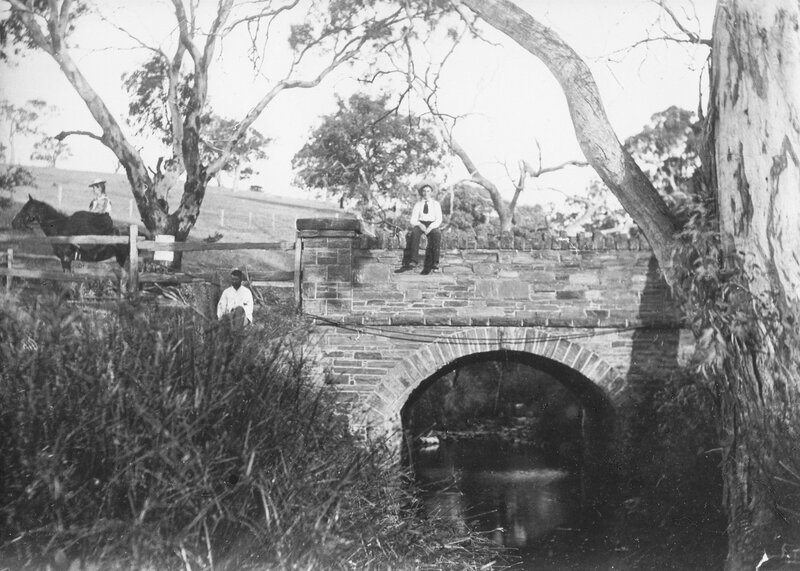 Anacotilla Bridge on Main South Road, with Lorna Kelly (riding side saddle), E.C. & G.F. Kelly, in 1896. Image courtesy of the Yankalilla & District Historical Society. Despite the “pretty little bridge”, the steep descent into the river valley remained treacherous for travellers. In 1880, the South Australian Register reported “an accident, which might have terminated fatally” on the Anacotilla Bridge. 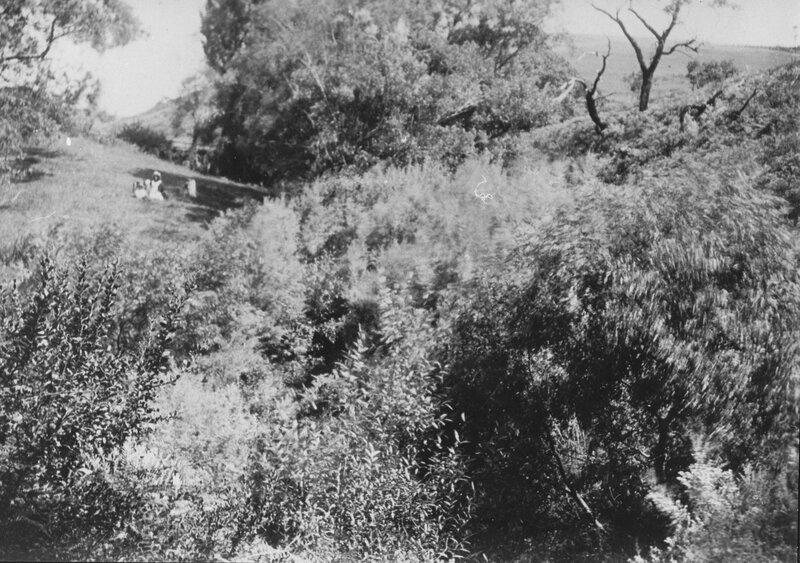 A Mr. and Mrs. Lovelock, and sisters Alice and Lucy Genery, left Second Valley (then Finniss Vale) late at night in a buggy to return to Yankalilla. In 1849, Robert Kelly and his wife Mary Ann arrived at Port Adelaide. They had departed their home on the Isle of Man after their marriage, and on arrival, lost little time acquiring land in the Second Valley district. 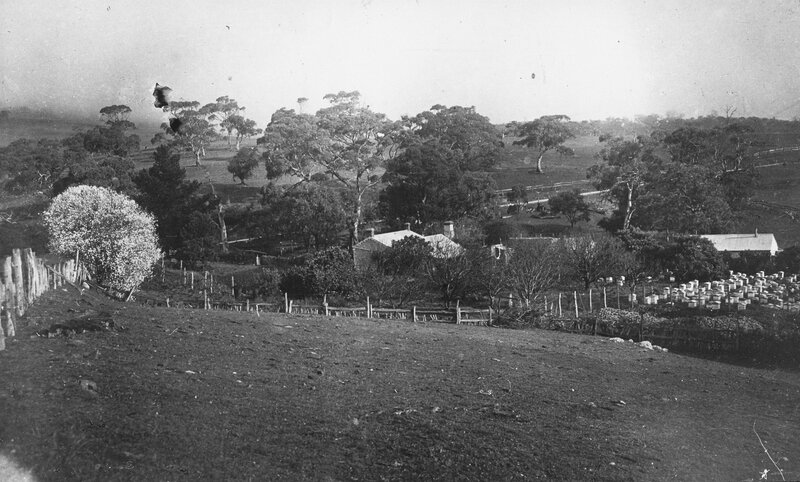 With a combination of land purchased and leased from the Crown, they developed a farm called Cornhill, and according to R. F. Williams, “the holding was gradually improved and they prospered.” Robert served as a Councillor on the Yankalilla District Council, as a Justice of the Peace and as a Wesleyan Preacher. Anacotilla, Second Valley, home of A.C. (E.C.?) Kelly in the 1880s. This dwelling is the present day ‘workers cottage’ on Main South Road. Image courtesy of the Yankalilla & District Historical Society. Anacotilla, home of the Kelly family, 1896. Image courtesy of the Yankalilla & District Historical Society. While Cornhill passed from Kelly ownership in the 1890s a further property, Anacotilla, remained in the family, farmed by Kelly’s son Edgar who purchased it from his father and increased its size significantly. Edgar married Fanny Emma Jones at Encounter Bay in 1882, and of their three children, their son Garnet “was keen on the land and was a widely respected member of the district.” (Williams 1986, p. 251). Throughout the 1880s and 1890s, the wattle bark industry gathered momentum in the Second Valley region. The bark of the Golden Wattle (Acacia pycnantha) was gathered, milled and exported for use in the tanning of hides. Ron Blum, in his history The Second Valley, notes that the Kelly family was one of a number of local landholders who cultivated wattles for export during this time. Anacotilla, Second Valley, 1890s. Image courtesy of the Yankalilla & District Historical Society. 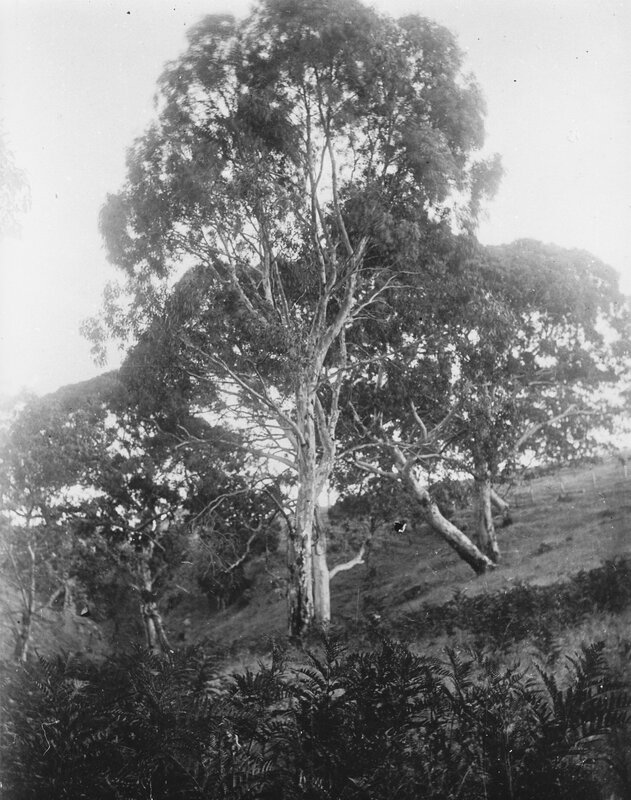 Gums along Anacotilla Creek, 1896. Image courtesy of the Yankalilla & District Historical Society. 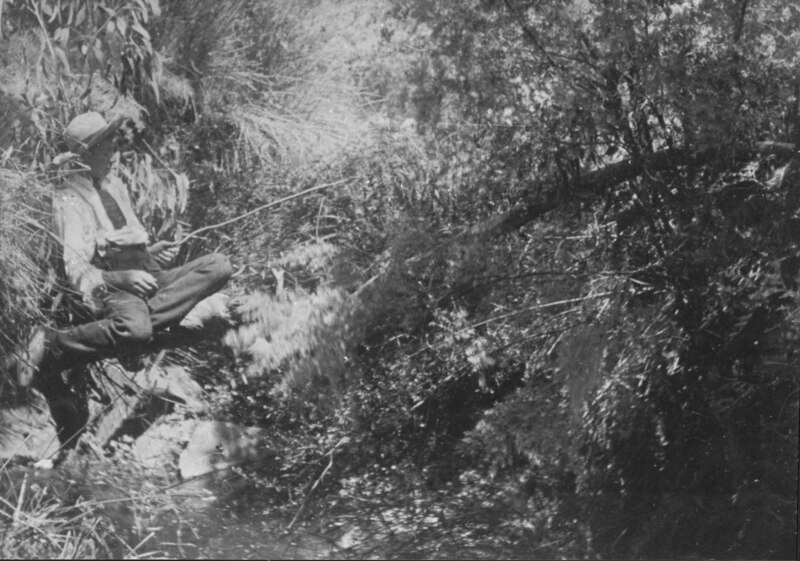 13-year-old Garnet Kelly fishes in the Anacotilla Creek, 1896. Image courtesy of the Yankalilla & District Historical Society. Edgar Kelly seems to have been a benevolent soul. In the early 1900s, neighbouring farmer James Joseph Walsh was “thrown from his horse, his foot caught in the stirrup and he was dragged until dead” leaving his wife and four young sons. According to Williams, Edgar Kelly offered to “supervise operations until the boys were capable of managing themselves”. While two of the sons later continued to farm the property, the Walsh family farm was eventually sold to become the Wirrina Resort (Williams 1986, p. 300). Edgar Kelly appeared in the Normanville Police Court in 1905, charged by the District Council of Yankalilla for “failing to destroy rabbits”, presumably on the Anacotilla property. Kelly was fined £1, and costs of £4 5/-. A number of other landowners were similarly charged but were able to demonstrate that had taken efforts to control rabbits on their land, however unsuccessfully (The Advertiser, 23 January 1905, p. 8). Although rabbits and hares were released in South Australia in the early days of the colony, it is thought that the present population is largely descended from a population of 24 released for hunting near Geelong in the 1850s. By 1910, shortly after Edgar Kelly was charged, the rabbits had expanded to almost their present range across much of the continent, with the population estimated to have reached 10 billion by the 1920s. 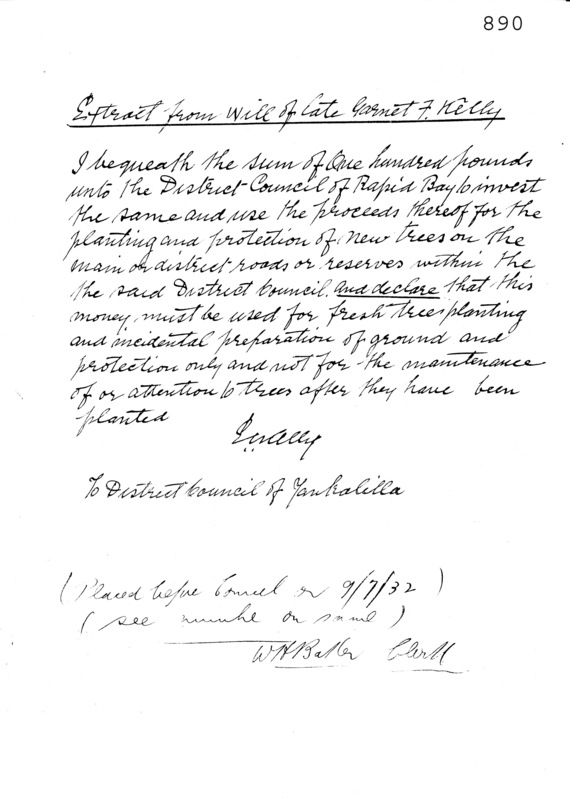 An extract from the will of Garnet Kelly, bequeathing money for the planting and establishment of trees along the main roads and reserves of the region. Image courtesy of the Yankalilla & District Historical Society. In addition to his entrepreneurial activities, Garnet continued his family’s involvement in the community. The Chronicle newspaper wrote that “he took an active interest in church matters and filled various offices in connection with the Methodist Church. He was president of the Rapid Bay Literary Society, and secretary of the British and Foreign Bible Society branch” as well as serving as a member of the Rapid Bay Council (Saturday 3 February 1917, p. 42). Garnet was also a supporter of local OBI (Our Boys’ Institute) camps, with the Advertiser reporting in 1911, that “Friday was a quiet day at the camp. Fishing and shooting were enjoyed, and in the evening there was a camp meeting. On Saturday shooting and fishing were again the programme … Mr. Garnet Kelly met Mr. Kirkham Evans and his boys at the foot of the [Second Valley school] hill and drove them up to Mr. E. C. Kelly’s beautiful home at Anacotilla to afternoon tea, and afterwards to church at Normanville.” (25 April 1911, p. 14). 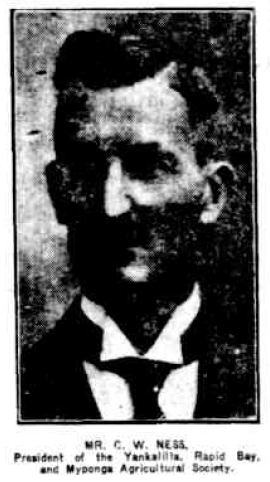 His involvement in the Rapid Bay Literary Society made him a sometime adjudicator of debates, such as one held at Delamere in 1910 on the topic “Shall the Government control the liquor traffic?” The Inman Valley debating team was declared the winners, arguing in the negative (The Register, 20 August 1910, p. 3). In 1912, Garnet spoke at a meeting held in the council chambers to discuss the formation of a local branch of the United Labour Party. Following a “vigorous” string of addresses, the 30 people assembled unanimously agreed to form a local branch, with assurances that a ladies committee would also be formed (The Register, 22 January 1912, p. 9). One of Garnet’s agricultural mishaps was listed among “Various Items” in the Chronicle in 1914. After unloading wool bales from his dray for transport by sea from the Second Valley jetty, Garnet’s horses started, and “he was thrown heavily to the road”, albeit escaping serious injury (24 October 1914, p. 39). Garnet Kelly, in the uniform of the first Australian Imperial Force. Image courtesy of the Yankalilla & District Historical Society. 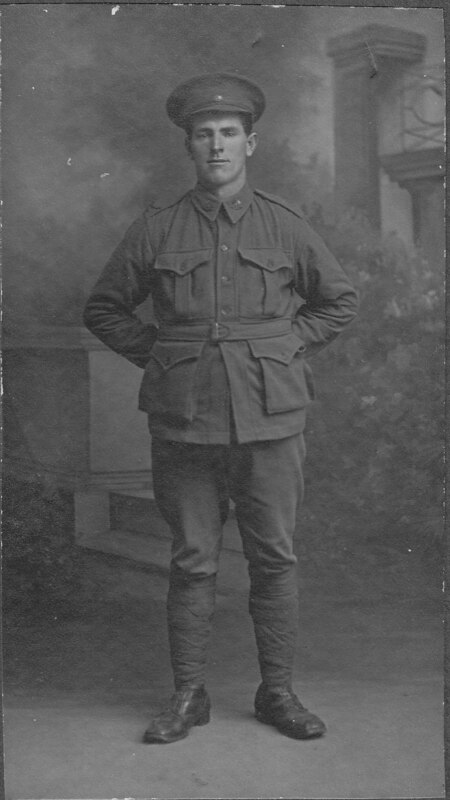 Garnet Kelly enlisted as a sapper in the 10th Field Company Australian Engineers in March 1916. Following training in Melbourne and England, he was sent to France in late November. 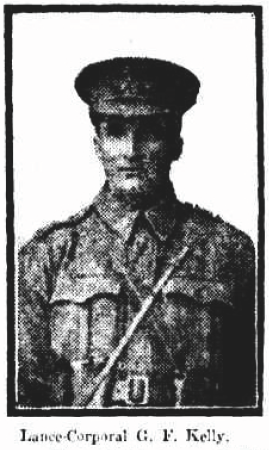 He was killed in action on 8 January 1917. His obituaries were warm, the Register describing him as “a fine type of Australian manhood … deservedly esteemed for his fine qualities” (27 January 1917, p. 10), and “a man of exceptionally good physique, and more than 6 ft. in height” with a “fine character [that] made him universally popular” (25 January 1917, p. 6). Following Garnet’s death, in 1920, Edgar and Fanny Kelly sold “the fine property” Anacotilla to Charles William Ness, who had previously farmed successfully near Milang. Ness became the President of the Yankalilla, Rapid Bay and Myponga Agricultural Society, among other community contributions, and at Anacotilla bred Shorthorn cattle and “high-class pigs”. The Register of 30 October 1925 described Ness thus, “his great interest and extensive practical knowledge, combined with a genial personality, make him an ideal President”, noting his considerable contribution to the success of the annual Agricultural and Horticultural Show. In 1933-34, South Australia experienced one of its most serious bushfire seasons in the period before comprehensive records. In March 1934, the Adelaide News declared that the “whole of the Cape Jervis Peninsula is ablaze”, with continually changing “fierce gully winds … setting the fires going in every direction” (13 March 1934, p. 5). There were fears that a wind change could incinerate Second Valley town, so a 5 kilometre fire break was burnt across Ness’s Anacotilla Stud Farm and Poolamacca Station. 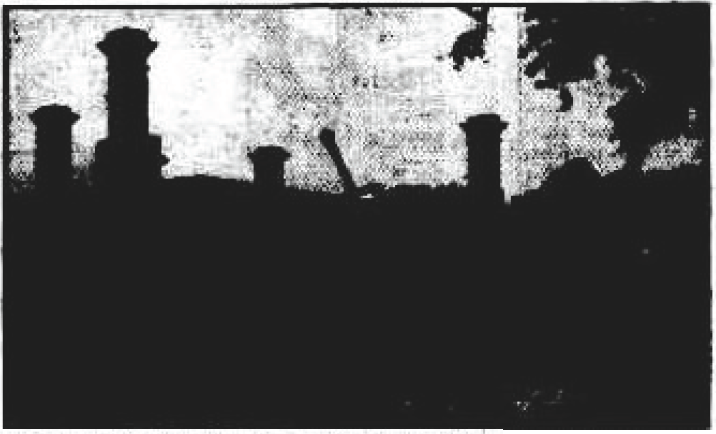 After burning through areas of the Second Valley Forest (Port Pirie Recorder, 14 March 1934, p. 1), the fires were eventually extinguished several days later with the arrival of rain (The Advertiser, 16 March 1934, p. 19). In 1938, Ness’s son Ronald had a near miss while transporting prize sheep from Yankalilla back to Anacotilla from the Agricultural Show. As he drove along the Gorge Road, he struck the parapet of the bridge, crashing through the cement posts and railings and tumbling 20 feet down into the creek below. Ronald, together with the sheep, escaped relatively unhurt. Unsurprisingly “the truck was considerably damaged” (The Advertiser, 8 November 1938, p. 11). 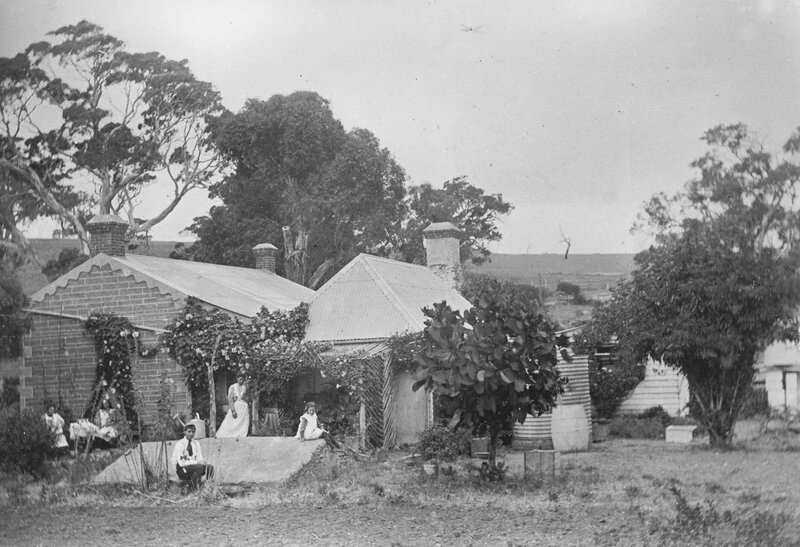 In 1948, Anacotilla Homestead, now in the possession of Ronald, was gutted by fire. Estimated at £10,000 worth of damage, the fire destroyed all of the Ness family’s personal property including heirlooms and paintings. The fire was believed to have started from a kerosene refrigerator while the Ness’s were visiting friends in Yankalilla, and took several hours to extinguish once fire fighters arrived from Second Valley and Yankalilla (The Advertiser, 29 December 1948, p. 3). The homestead was subsequently rebuilt, with the interior renovated in an Art Deco style. If you have any stories, recollections or corrections regarding the Anacotilla property, river or surrounding region or if you are able to identify present-day locations of any of the photographs, please let us know. Thanks to Margaret Morgan, secretary of the Yankalilla & District Historical Society, for her assistance in sourcing archival images. Hi, I think I might be a descendent of the Kelly family (my maternal grandmother was a Kelly) and my mother moved to the peninsula to live about 15 years ago but said she hadn’t been able to find out anything about her family’s history in the region. Are you able to tell me anything else about the Kellys, or point me in the right direction please? A lot of the research that we’ve written up has been through the use of Trove, a free, online collection of newspapers from the National Library of Australia. They’re constantly adding new material and I’ve been meaning to have another look and add further information. I really recommend having a look at this, although it can be a bit of a rabbit-hole once you start! The Yankalilla Historical Society was also generous in finding and sharing the historical photos of Anacotilla – they have a regular column in the Yankalilla District News with their contact details. All the best with your searching! My father worked for Ron Ness and had a lot to do with the family when he was young. He had and still has a lot of respect for Mr Ness and his family. And fantastic stories of his time working at Anacotilla etc. I wish my parents would write down what they know about Normanville, Yankalilla etc. I am 6th gen local on dad’s side from Normanville and my parents have many fantastic stories from their childhoods to tell. My 5xgrandfather was Matthew Hunt from Myponga. A very much respected and well loved local who had a lot to do with our districts. I am protective and extremely proud of our history. And don’t want it lost or changed to suit others, that blow ins have already tried to do. Hi Katrina, thanks for sharing. We’d love to hear more about you and your family’s stories of the area and help to preserve and pass on the stories of the region.